From CrossFit to Rowing… What Now? 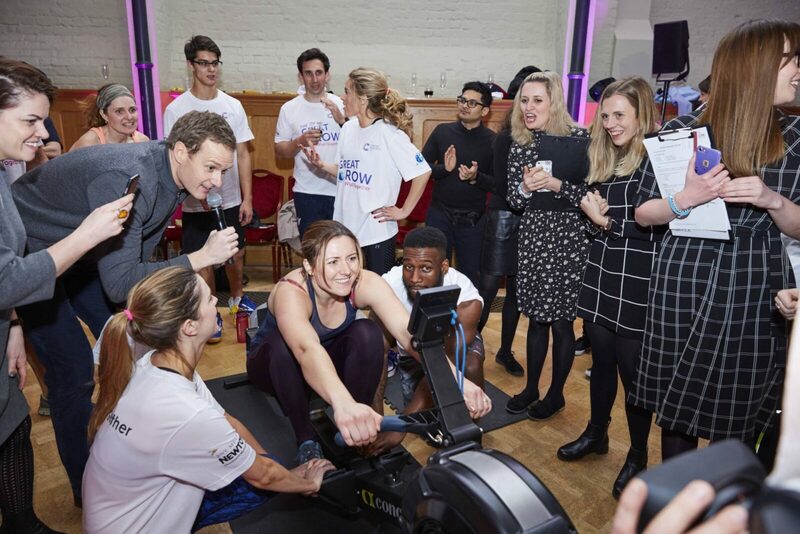 At the start of the year I was invited to join a press and celebrity team at Cancer Research’s The Great Row event, where we would row a marathon on a Concept2 erg as a team of six (read more about it on Sophie and Patricia’s fabulous blogs!). After a really fun evening of slogging it out on the erg – including my last 500m being commentated by a BBC sports presenter (!) – I’d already decided that I wanted to learn to row for real. 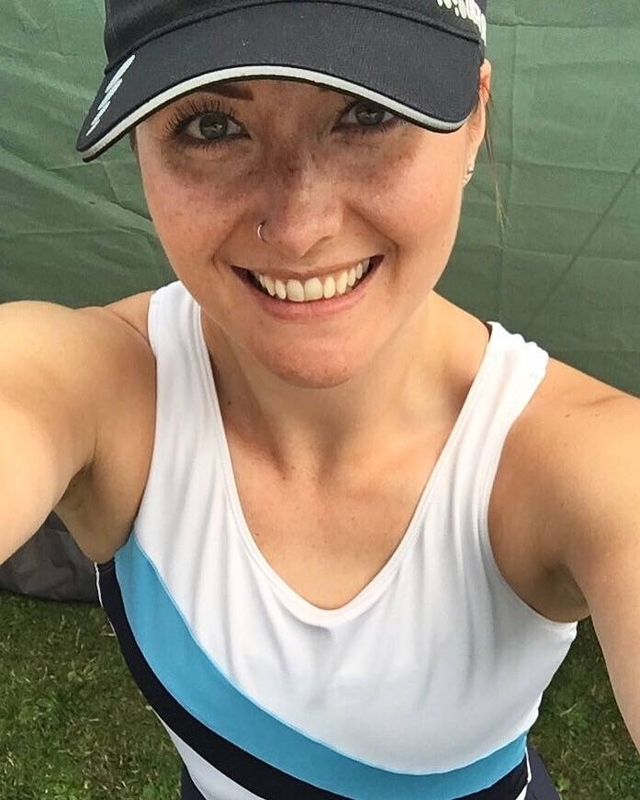 I was even looking up Learn to Row courses in between my turns on the erg… but what I didn’t realise was quite how much I’d love it, and that 6 months later I would be rowing another team marathon, only this time down the Thames with my local rowing club! 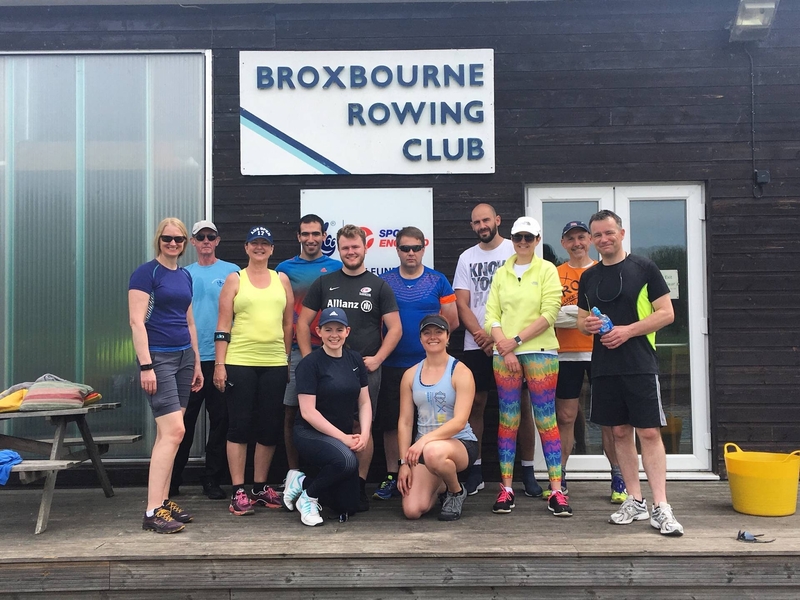 I’d always assumed rowing would be quite technical, but I didn’t appreciate just how much I’d gotten away with on the erg until we got to work with the coaches at the Broxbourne Rowing Club Learn to Row course. The course was run on Saturday and Sunday mornings over 8 weeks, and as we progressed from erg, to bank tub (a frame with a seat on a slide and a rigger so you can practice moving the blade in the water), to boat the coaches worked with us to improve our positioning, core strength and timing. The first two days were a lot to take in with tonnes of rowing terminology to learn, as well as the physical movements. But I felt relatively confident that I was picking things up. Something I didn’t appreciate until recently was just how good CrossFit has been for my ability to learn new things. The variety of movements we have to perform as part of our CrossFit arsenal requires motor skills and proprioceptive feedback that I’m sure has helped me when learning new physical activities. It wasn’t until week three that I had a real dip in confidence with an outing where almost everything went wrong… and I’m still getting those on occasion four months later. You see, despite the “general physical preparedness” that CrossFit gives me, I’ve still found rowing to be one of the hardest technical challenges I’ve taken on. When you learn a clean and jerk, you can stick with a light weight and drill the movement over and over again and the only person that’s affected if you mess it up is you. If you miss a lift you just dump the bar, take a breather and go for the next one. If you mess up a rowing stroke, on the other hand, the whole boat can rock and slow. You can’t just stop rowing and take your time to correct what you got wrong – you have to keep in time with the athletes in front of you and correct/adjust as you go. Being the competitive person I am, when the chance came up to join a squad specifically for learning to race, I was obviously going to go for it. But going from a group of all beginners to a crew who have been rowing for an average of around two years was a bit of a leap. I am by far the newest rower in the team and I’m certain it shows. We got to work on training as an eight – doing racing starts (which our coach, Bex, loves) and joining in with “tidal flow”, which is where all the boats make their way up to one end of the river and then set off one by one at a fast pace to simulate the pressure of a regatta (and help make sure you have a clear stretch of river to speed down!). It’s really hard sometimes to try and keep your strokes as tidy as you want them to be when you’re also trying to put the power on and maintain a fast rate, but I’m hoping it will come with practice. After about 5-6 weeks of training together as a crew (when we could all make it!) we did our first race as an eight at St Neots Regatta. We had hoped to be in a novice category, but with a change in the way British Rowing members get points for racing, the novice categories seem to be being phased out across various races. We ended up racing against the eventual winners of our category for our first race draw… and obviously lost. An unlucky draw perhaps, but still a brilliant experience. Despite beautiful weather in the morning, by the time our race came the weather had taken a turn for the worst and we were soaked through, we had trouble getting lined up with the stake boat because the wind kept drifting us away, and we lost by four lengths… but we were still probably the happiest bunch there! It just goes to show what a little bit of adrenaline does for you! Now I’ve had my first taste of racing I’m excited for what’s to come. I want to do every race I can get myself signed up for (that’s if I make the cut, of course!) and I’m determined to work on my technique and timing so I can pull my weight more in the boat and make efficient use of my strength rather than just haul-assing the oar! I’m hoping to learn to single scull, as it’s supposed to be the best way to learn how to balance and move a boat effectively. I’m also going to work on getting a sub-8 minute 2k erg, which I know is within reach (I’m currently hovering around 8:14). As well as racing, I hope to use rowing as a way to see new places. I’ve already been on a trip with the recreational rowers, where we rowed from Wallingford to Henley – a total of 26 miles over two days. I’ll cover that trip in a separate post! Touring is great fun and I’m looking forward to seeing where else it will take me. Firstly, I’m going to hit the erg at the gym once or twice during the week to rack up the time I spend working on my body positions. 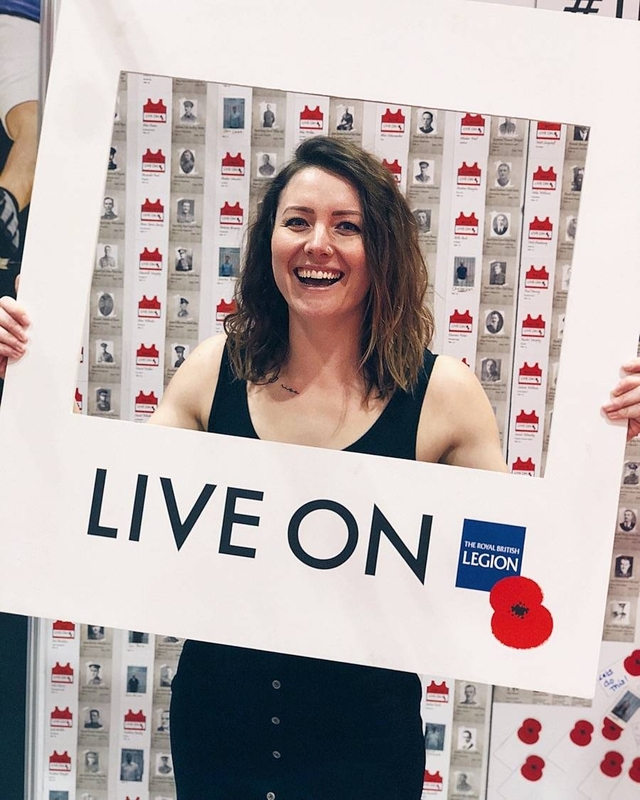 British Rowing have a great indoor rowing section on their website called “Go Row Indoor” which has training plans and technique tips as well as advice on apps to record your ergs. I also plan to use Rowing WOD to give me challenging workouts for the erg to improve my rowing fitness. Secondly, I’m going to get myself out in a single sculling boat whenever I can and get that practice in so I can learn important skills like maneuvering, balancing and getting an efficient stroke and recovery. I just have to be prepared to get wet because the risk of capsize is relatively high… especially for beginners! 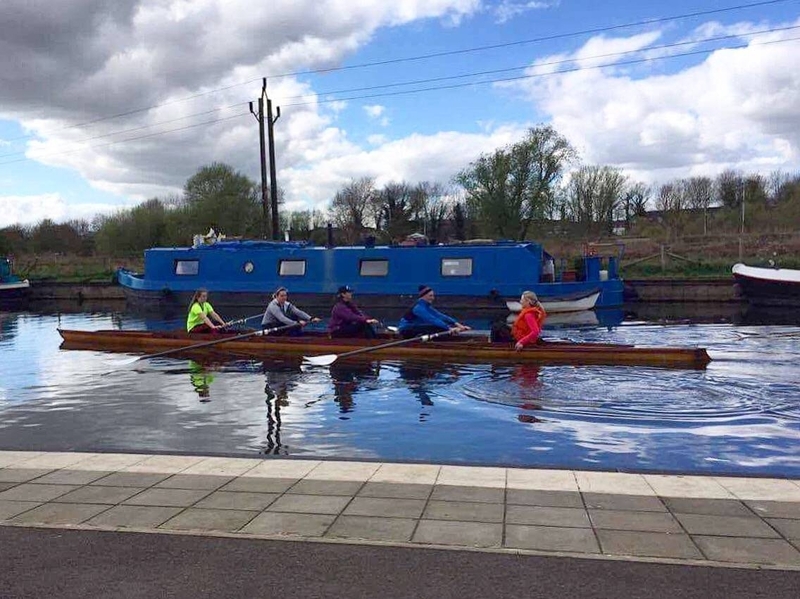 And finally, I’m going to continue to train with our lovely learn to race crew as often as I can – working on individual timing is great, but rowing is mostly a team sport and it’s important to work together to get that boat as fast as it can be. Our coach is great and really enthusiastic about the squad and our races, and we’re lucky to have loads of great volunteers who give us coaching from the bank as we train. I need to be a bit of a sponge now and try to take it all in and act on it! Have you ever thought about learning to row? Or if you’re already a rower, what would you recommend for learning to row better? Great post! 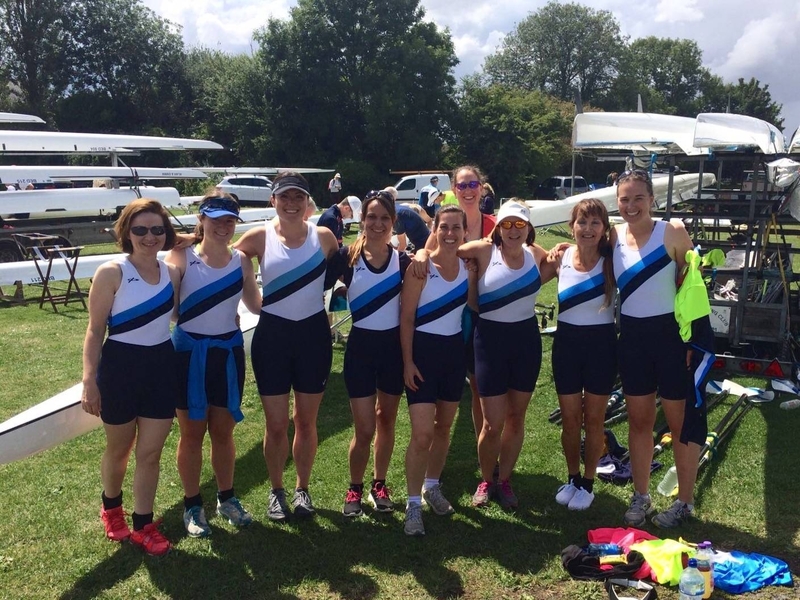 Saw it on one of BRCs social media feeds and it’s really made me miss rowing (I was part of the Senior Women’s squad until 2014 when I stopped to have my daughter.). You’re right that it’s incredibly hard balancing fitness with technique and working with others. It’s always said that ergs don’t float, so brute strength and endurance isn’t enough! That said it is really important and sounds like your training puts you in a great place. My only advice from when I was learning to row is to really get your head into your technique for each outing. Then when you inevitably have a bad one then just shake it off and re-focus for the next one. Single sculling will be great for balance and technique, but also consider a double with someone who can focus on steering for you. Balancing a double still requires a lot of focus but if someone is steering for you then you can fully immerse into your blade work. Oh and when I was working on my 2k time I found mixing in some interval ergs helped improve my sprints. I think one of the ones I did was 6 x 500m with 1 min rest or no pressure rowing inbetween. Or 4 x 1k with 2 mins rest, or 30s on 1min off for 20 mins ish. Good luck with the sub-8! Hi Angela, thank you for commenting. You should totally come back to the club! Thank you for the tips, and you’re so right about focusing solely on each outing rather than carrying the frustration on to the next one. I actually went out in a coxless double with one of the guys from the club a few weeks ago and really enjoyed it! It definitely was good for focusing on balance without worrying about the steering… and it was lovely having just the open river to look out on (not that I don’t love our coxes haha!). We did a 6 x 500m interval session the other day, which was horrendous (and we had 2 mins rest… what kind of sadist are you?!) but I definitely need to do more of these! Definitely ones for the mid-week gym sessions. Thanks again (and hopefully see you at Brox one day! ).